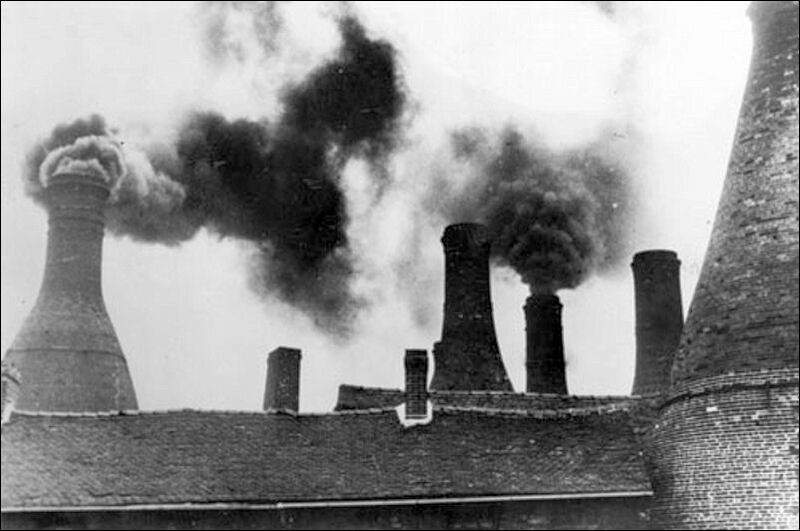 Thick black smoke from bottle ovens was a common sight in Stoke-on-Trent as the pot banks fired their ware. 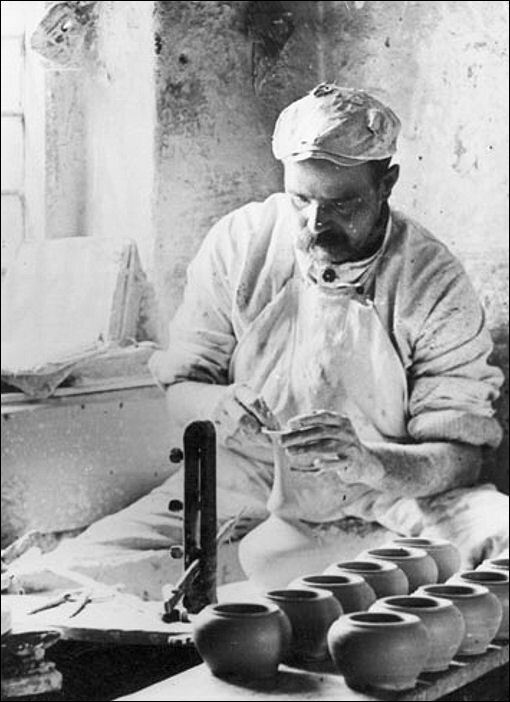 Pottery factory interior with a view of a man throwing a vase. Taken at Earnshaw's pot bank, Stoke-on-Trent. 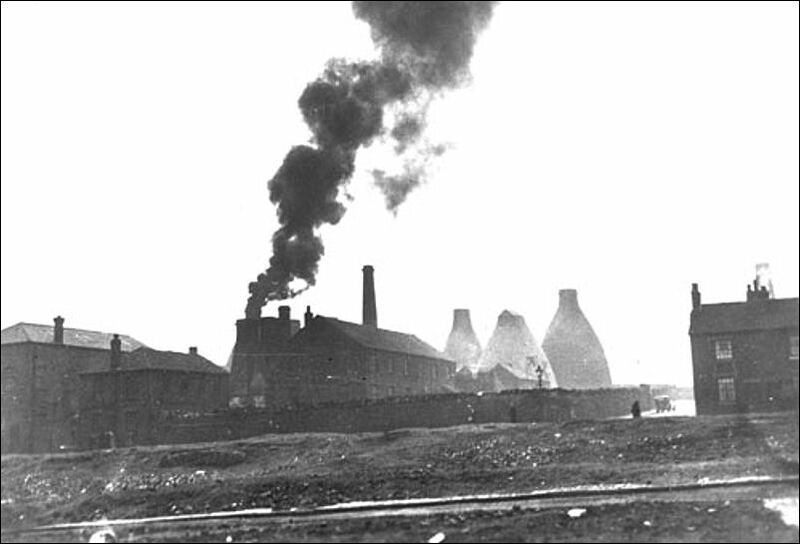 © Gladstone Pottery Museum Photographic Collection.